Results are now out – please see our “2011 Results” page for details. The combined Participant/Directors/Course Designer notes from this year’s race can be found here. 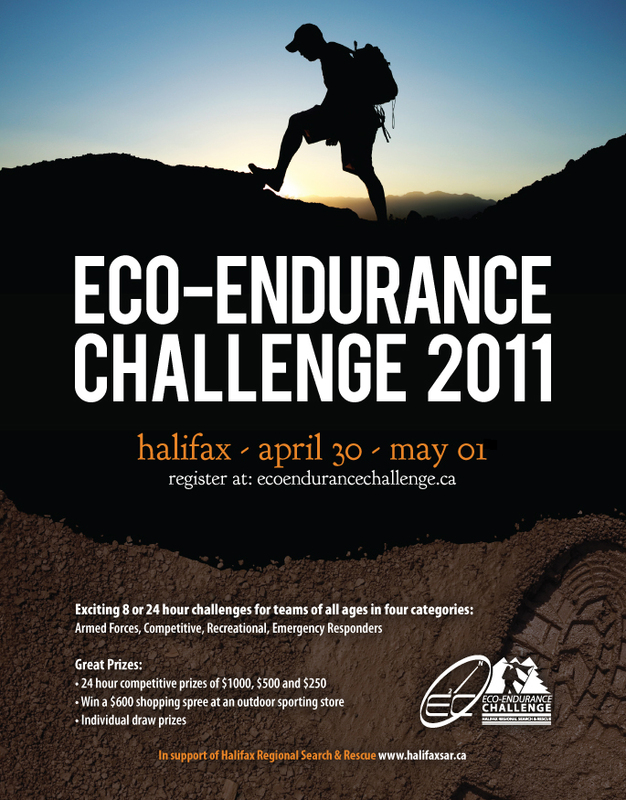 Please send us any photos, comments or stories that you have from the 2011 E2C or the post-race banquets. We welcome feedback (good or bad) in order to make future races better for participants and volunteers. It would also be great to see photos from prize winners – this helps our sponsors to see where their donations have gone and allows us to thank them for supporting the event. 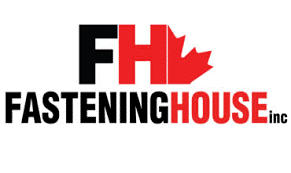 Send in pictures of you wearing/using/displaying your swag to jenny@halifaxsar.ca. If you were a late addition to a team or had to swap teams after registration had closed, and you didn’t get a certificate at the end of the race, please e-mail us and we will send you an electronic certificate for the event. We won’t be printing any more card-stock certificates, but we can send you one in pdf format. 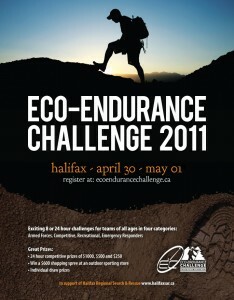 Thanks for making the 2011 E2C a success! Of course! We welcome entries from all teams across the country and internationally. If you have a look at our results pages from this year and before, you can see the provinces/countries that teams have come from. When does the registration for the E2C begin this year? Is there an age limit or any experience required? No age limit and no experience required, although there should be someone who is over 18 on each team. So parents and children would be able to compete together, or a group of younger friends with one adult. For those with less experience, the recreational category allows the use of GPS as well as the map/compass, and the 8hr race would obviously be less challenging than a full 24hr race. What’s the deadline for registration? Hi Tammy, the deadline for registration is April 22nd. Thanks for upgrading to a more technical shirt this year. It’s worth the extra $5 for sure! Register with Race Roster online after December 15th 2018! Jodi on E2C Quick Facts! Gregory Nix on Storm the Mountain Adventure Challenge 2016!